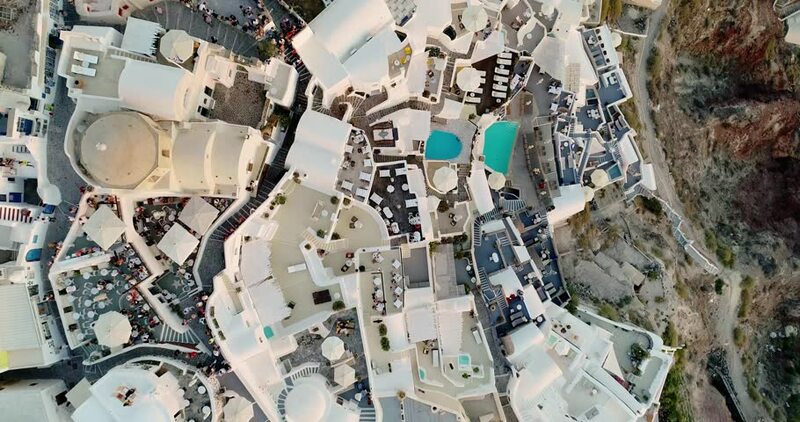 hd00:10Tilt up Aerial Shot of Greek Santorini Island with Blue Dome Churches in Oia. hd00:14Closeup of chaotic Gaudi tile mosaic on seat in Parc Guel in Barcelona. Zoom out.